AKIPRESS.COM - Cotton growers of Turkmenistan have harvested more than one million tons of cotton, Turmenistan.ru reported. "Transportation of harvested cotton to the collection centers and ginneries is under way, payments to farmers are made timely basis," the state-run magazine wrote. The President of Turkmenistan Gurbanguly Berdimuhamedov ordered to calculate the amount of raw cotton for the needs of the domestic textile industry and sell the remaining amounts through the State Commodity and Raw Materials Exchange. 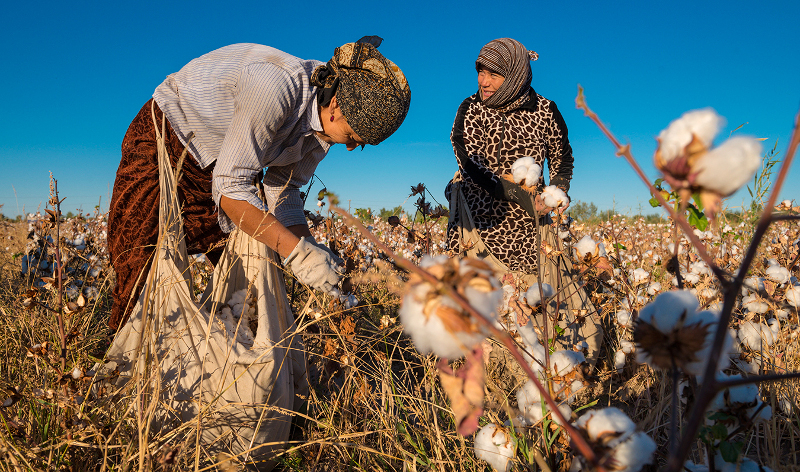 According to a U.S. Department of Labor 2016 report, forced labor in cotton had been documented in eight countries - with Uzbekistan and Turkmenistan widely condemned for state-sponsored forced labor - and child labor in 17 nations.